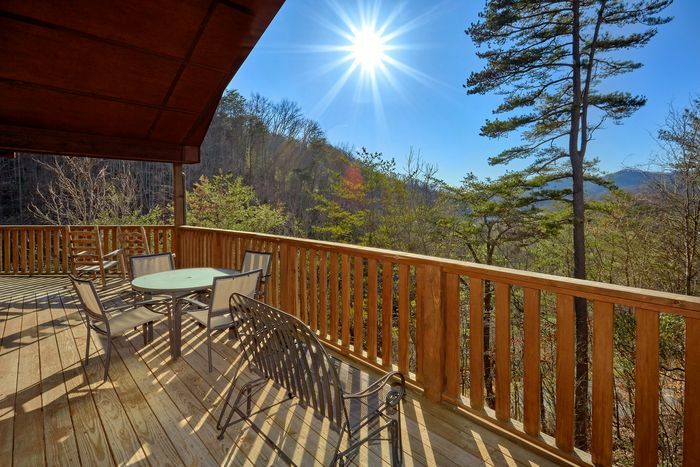 Welcome to "Bears and Beyond," an affordable 2 bedroom cabin in Sevierville that's only a short drive from Dollywood Theme Park! 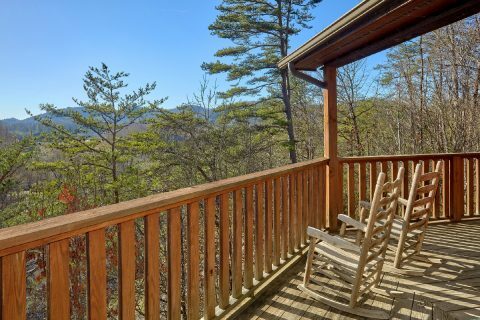 Not only does this lovely cabin with a mountain view rest only 7 miles from Downtown Pigeon Forge and Dollywood, but also this affordable cabin provides a scenic forested location for your getaway! 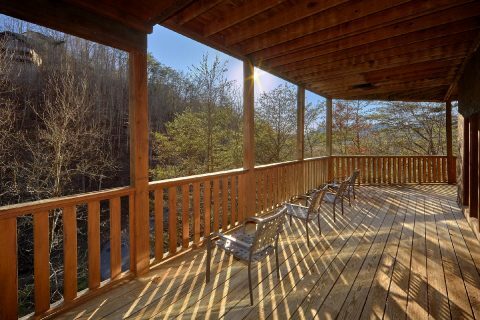 After a great day spent exploring attractions on the Pigeon Forge Parkway or seeing excellent shows at Dollywood, you can look forward to relaxing at this cabin nestled in the beautiful Caton's Chapel area of the Smokies. 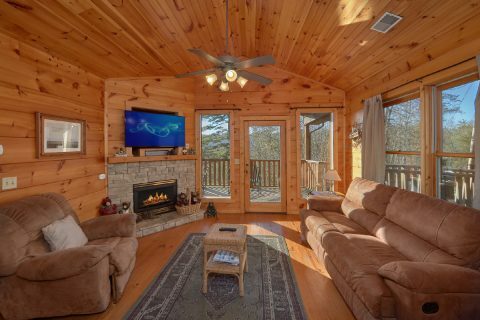 When you step into the main level of this cabin, you'll find a welcoming living room area complete with a television above a cozy gas fireplace. 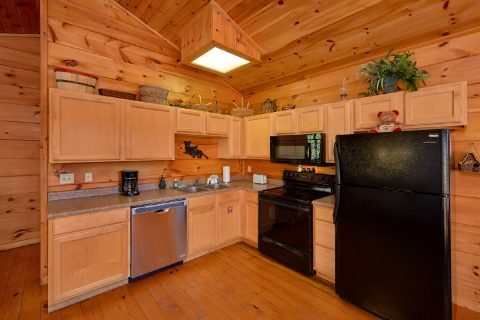 In the fully-equipped kitchen, you'll find everything you need to make delicious dinners during your stay. 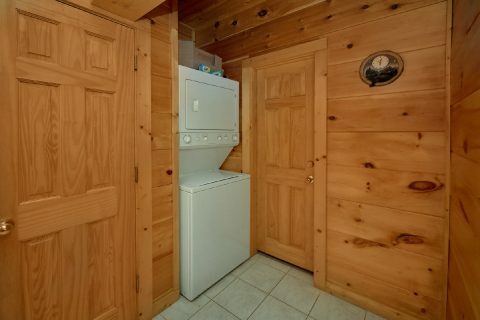 Additionally, your cabin provides a charcoal grill if you'd like to gill out on your vacation. 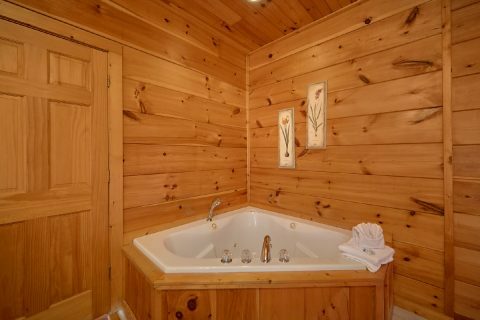 For some relaxation in the great outdoors, you can look forward to sitting on one of your cabin's 2 decks or you take a soothing dip in your cabin's hot tub. 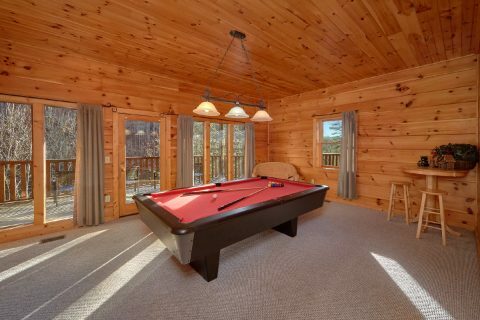 For some friendly competition during your stay, you can play billiards on the pool table in the lower level game room. 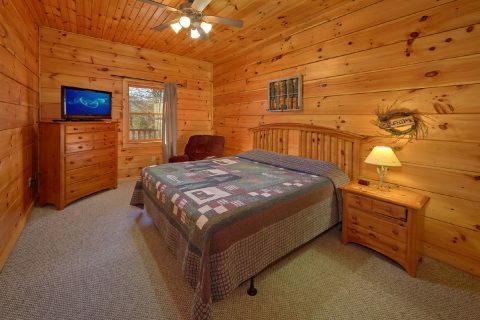 Once it's time to get some rest during your stay, you can look forward to sleeping in one of this cabin's 2 bedrooms. 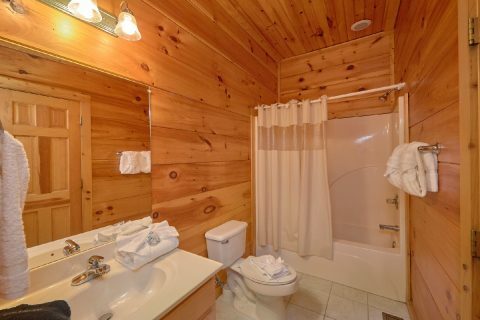 The main level bedroom boasts a king bed, an in-room jacuzzi, and a private bathroom. 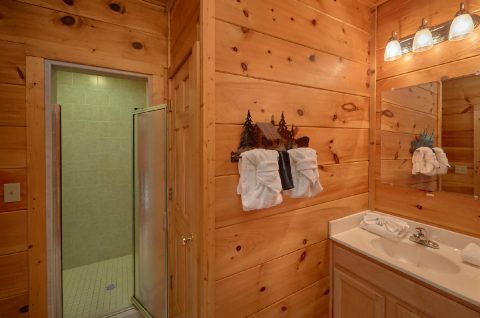 Downstairs, you'll find another bedroom with a king-size bed and a television. 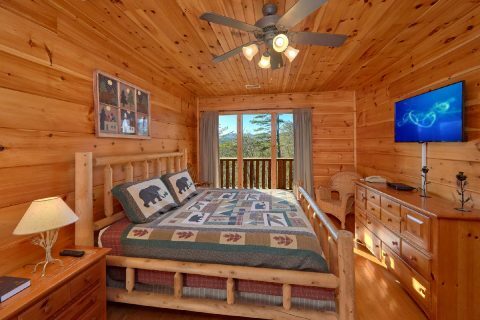 Lastly, "Bears and Beyond" provides a sleeper sofa in the lower level game room to accommodate extra guests, so this cabin rental can sleep up 6 guests comfortably. 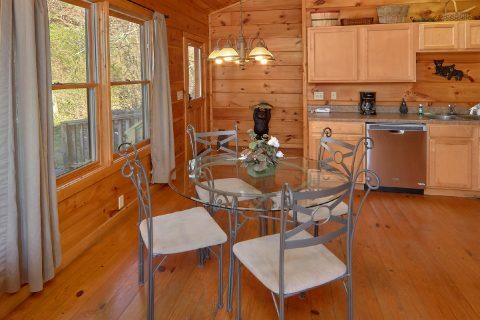 Additionally, this affordable cabin offers practical amenities to use during your stay like a washer/dryer and WiFi Internet access. 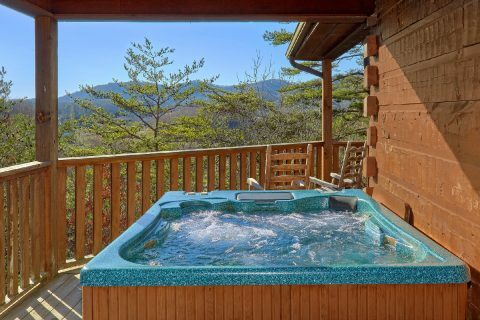 Book "Bears and Beyond" today with Cabins USA and you can earn a special 15% discount on your getaway to the Great Smoky Mountains of Tennessee!